Today is a very exciting day for blog posts obviously, first my Doctor Who nails and now I have some swatches of the new collection from Charming Tale. This is the Camelot Collection and only came out two weeks ago. I had planned to use them as soon as I got them but because I've been busy like I said in my previous post, I've only just had a chance to try them out. First up is The Sword, a pale silver with multi-chrome flakes. 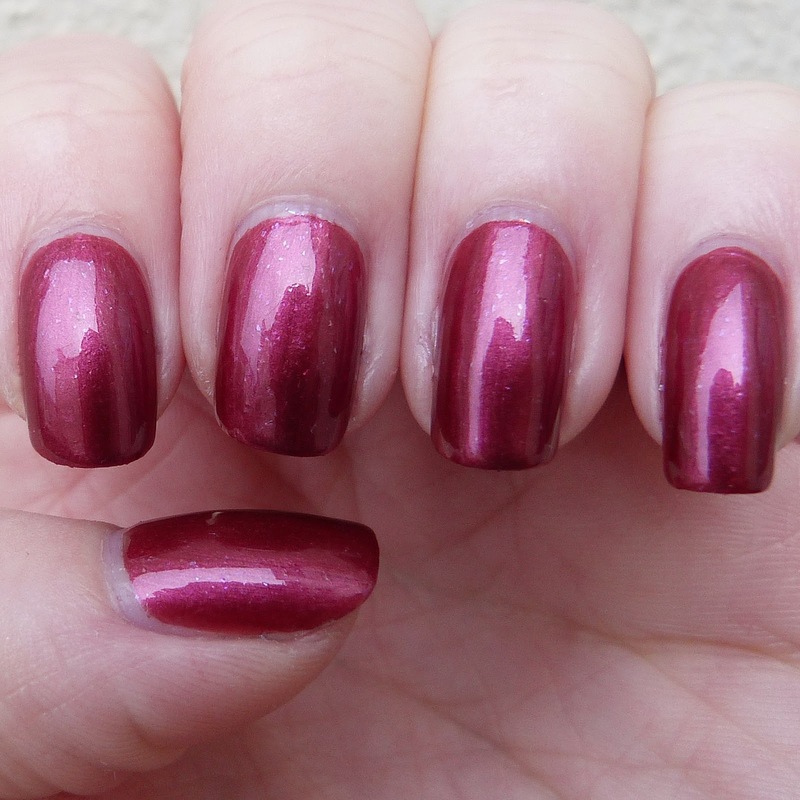 Of course the shimmer in this polish didn't actually show up in these photos... I can promise you it's there, it's just that I'm still trying to take photos outside despite the fact it's November and I live in England but unfortunately I still don't have a lamp so I don't have much choice. Two coats plus topcoat. This next polish is called The Wizard and is a bright blue with multi-chrome flakes. 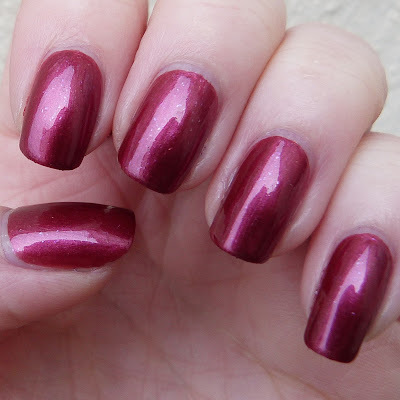 Gorgeous polish, gorgeous application, what more do I have to say?! So glad you can see the shimmer in this one. Two coats plus topcoat. And next up we have The Dragon, a bronze with multi-chrome flakes. I said this on Instagram but this colour really reminds me of the dragon from the TV series Merlin that used to be on BBC One, did anyone else watch that?! Again you can see all the sparkle so that makes me happy. 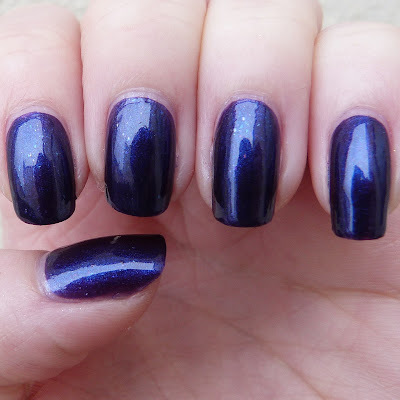 Now we're onto the big ones, this is The Queen a deep purple with multi-chrome flakes that has a beautiful blue shimmer. I don't really have many words for this polish, I'm a little bit in love... well actually, a lot in love. Tried to take a fancy side photo to show the shimmer a bit better, I think it worked right? Two coats plus topcoat. And finally we have the man himself, The King. This is a gorgeous red polish with multi-chrome flakes. Yet again this is another one that I love. I mean I love all of them but if I had to pick favourites it would have to be The King & Queen. Two coats plus topcoat - this actually probably didn't even need another coat, I just did it out of habit haha! 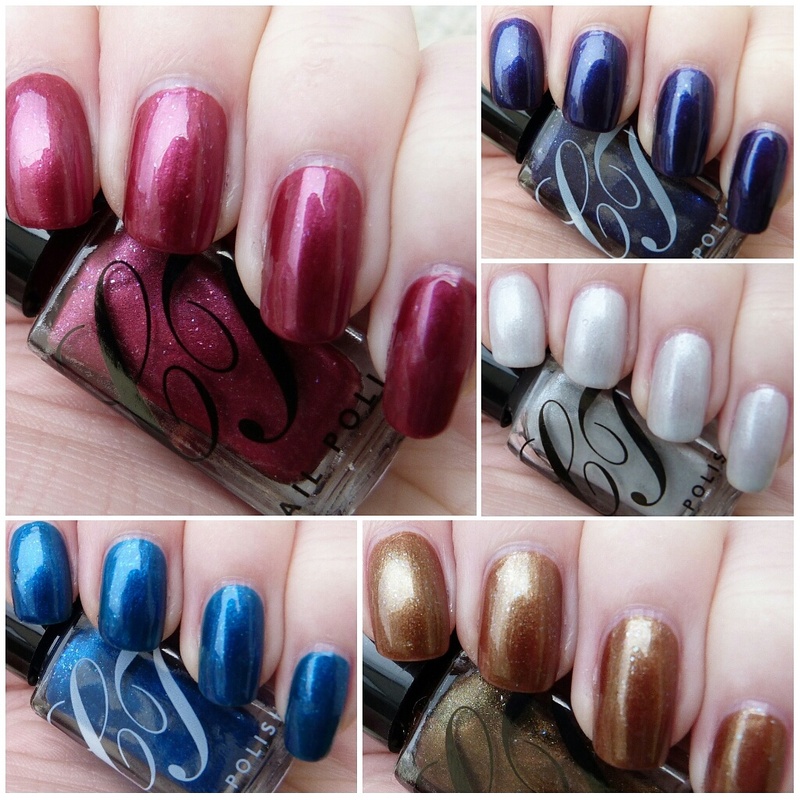 The application for all of these was brilliant, I have no complaints about these polishes whatsoever. I actually also got the multi-flake top coat Snow Queen but didn't swatch that today. I did wear it basically all week on top of Sprint Finish from Barry M though so that should show you what I thought of it! Massive thank you to Leanne for creating all of these gorgeous polishes. Which on is your favourite?